Nice patterns on the street. So typically Portuguese! Very beautiful and a real work of art. Super beautiful at any time but how lovely with a sprinkling of autumn leaves. This is so handsome and striking. But I'll bet it would be hard to ride a bike on it. 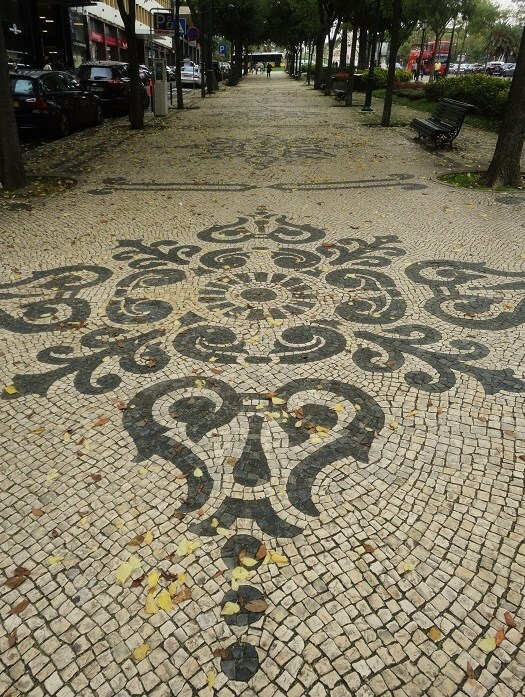 These cobblestone streets are one of the things I was really impressed with when I was in Portugal! A beautiful work of art they are indeed!! Thank you, as always, for sharing, Jose! I hope you have a great new week!! Beautiful. Labor intensive, but well worth it. I'd love to see this in some of our cities. So beautiful and neatly done! The patterns really are eye catching! I took a picture of this sidewalk too, but then again I was atop a Hop On Hop Off bus. 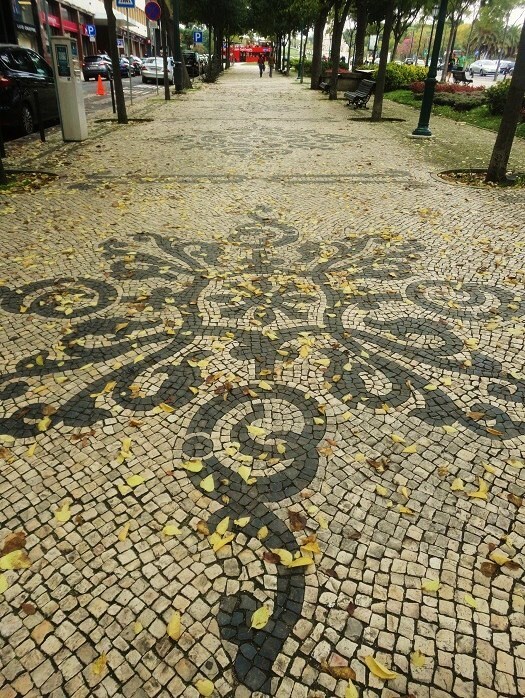 The little pale yellow leaves could be part of the mosaic. Charming. So creative and beautiful. So Portuguese! Me encantan los suelos de las calles y plazas portuguesas. Son pequeñas obras de arte. Tus estupendas fotos nos lo demuestran.